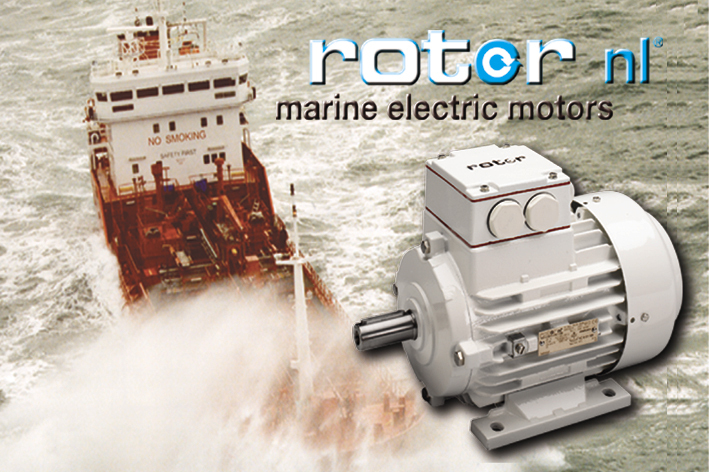 ROTOR is for more than 50 years reliable supplier of standard and special marine- and offshore electric motors up to 5000kW according to IEC- and DIN specifications. Because of the ample supply, high quality, full service and flexibility, it is possible to modify the special motors quickly according to the user’s wishes. Mechanical and Electrical specialists from Rotor continually try together with our customers, to find a good balance between technology and commerce. Rotor holds a large stock of rotor nl® motors in Eibergen – The Netherlands. The Rotor team of workers deliver annually about 100.000 motors up to 5000kW 2,4,6 and 8 poles, in all kind of executions, all over the world. Our 24 hours world-wide service is your guarantee of immediate assistance in emergency cases. We have Agents and Dealers with “available” stock all over the world. Rotor nl® meets the demands (type approval) of various marine classification bureaus, like Lloyd’s, DNV, GL, ABS, CCS, RMRS, RRR, RINA, NKK, and KRS. Rotor can supply the complete drive according to clients’ specifications for a variety of applications, such as pumps, ventilation systems, davits, cranes, port machinery, hydraulic systems, compressors and various other pieces of equipment. Rotor is part of the REGAL family of companie. Regal Beloit Corporation is a leading manufacturer of electrical and mechanical motion control and power generation products serving markets throughout the world.